Andrew Reckers, ’12, received the nomination for the first ever federal Green Ribbon Schools award on behalf of Athenian from California’s State Superintendent of Public Instruction, Tom Torlakson. Athenian is one of only four schools in the state to receive this nomination. Read about the nominations and the Green Ribbon Awards here. 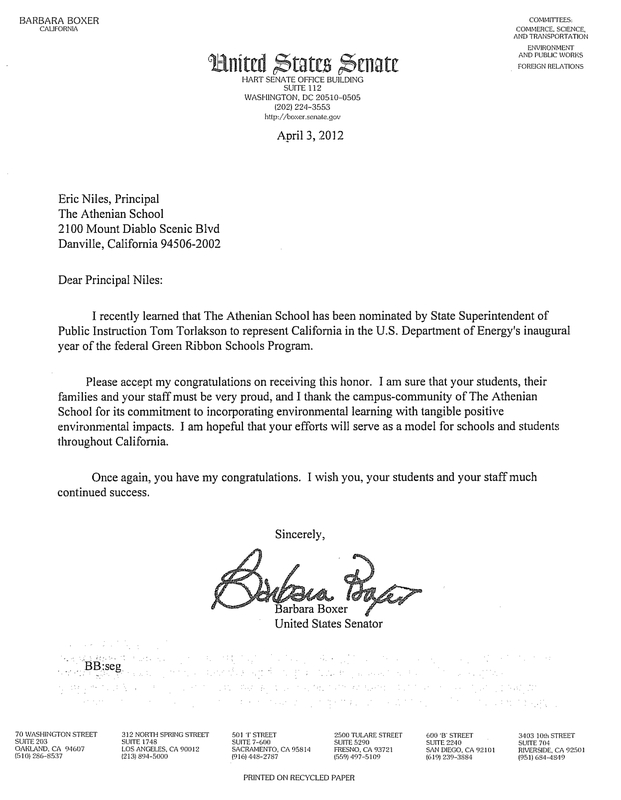 Athenian received a personal letter of congratulations from State Senator Barbara Boxer! In an effort to continue “greening” the school, solar panels were installed on the roof of the Center for the Arts (CFTA). 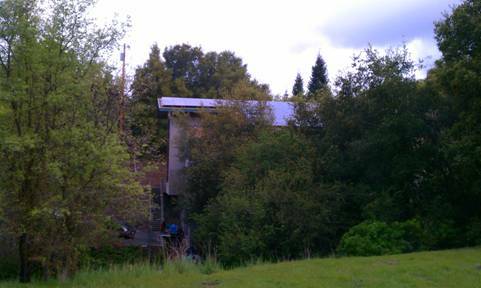 You can see the solar panels on the roof peeking out through the trees. 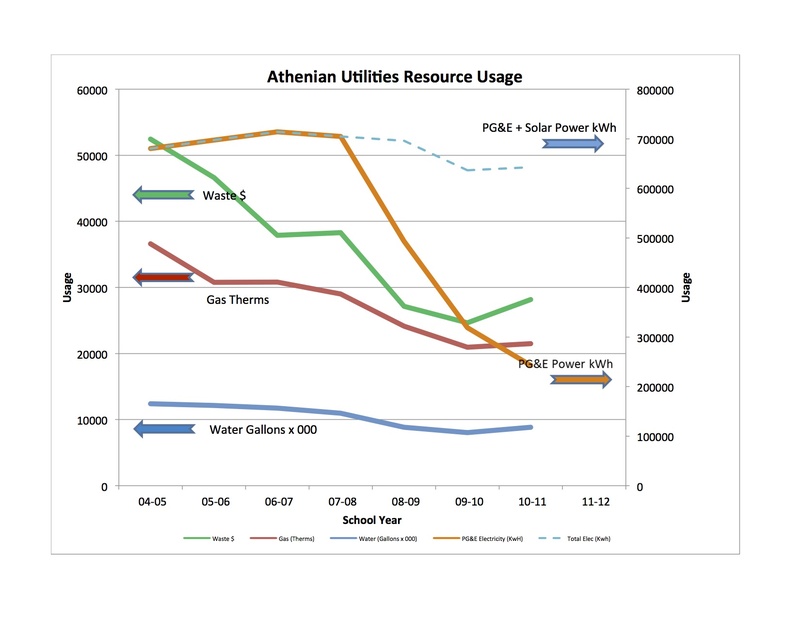 Since Athenian installed solar panels in 2008, our PG&E energy consumption has dropped by 60%. With the addition of the CFTA’s solar panels, The Athenian School is now 70% off the grid. 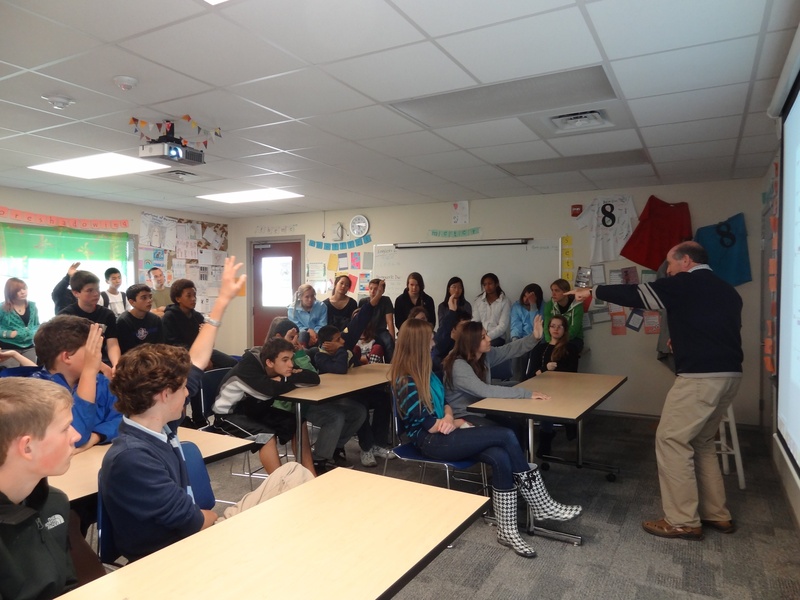 Bob Oxenburg, Athenian’s financial officer and one of our leading sustainability advocates, participated in a recent Focus Day with the 8th graders. He presented the above chart to them and engaged them in thinking about their impact on the school’s resources. The 8th grade had spent the day learning about Permaculture, a way of working with the land in a regenerative, restorative way. Learn more about The Athenian School’s “Greening” efforts here.